the hills and coves of the region. We invite you to step back into the past and learn about everyday life on an early American mountain homestead. 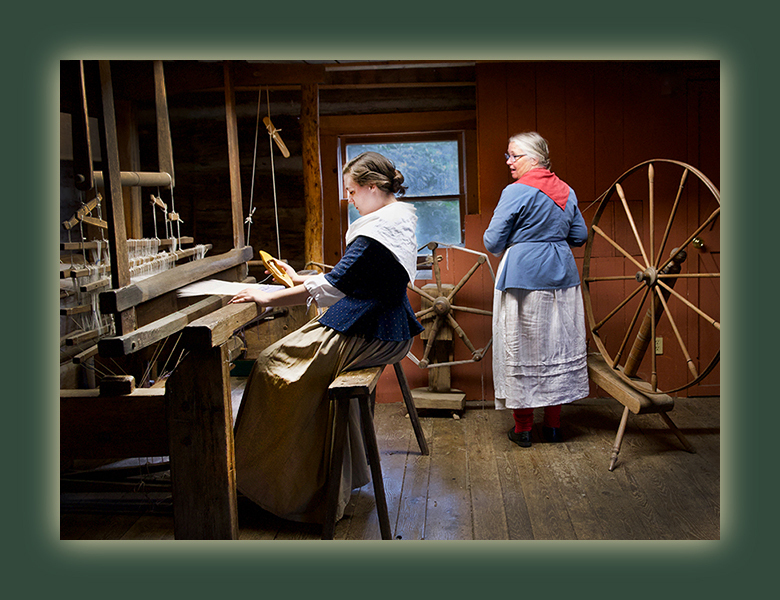 Hickory Ridge Living History Museum offers a variety of educational programs that focus on the settlement period between 1785 - 1805 when folks who settled into this region had to grow, create, and trade for the necessities of life. Hickory Ridge's educational programs allow participants to sample a taste of pioneer life as well as learn a variety of domestic skills. The educational programs of Hickory Ridge Living History Museum include the General Tour and Children's Craft Workshops. In the General Tour people of all ages enjoy exploring the historic buildings on the grounds, such as the Tatum Cabin built in 1785, and learning the ways early settlers lived and survived. Optional Craft Workshops are available for pre-arranged groups who are interested in stepping into the past. Ask about what craft workshops are available when you call or email to schedule your group's visit. Popular workshops include corn husk doll making and candle dipping.